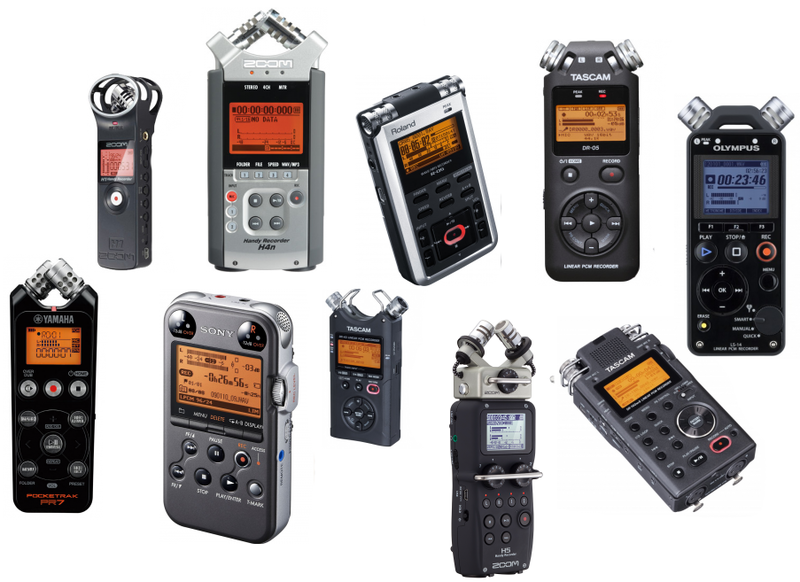 The voice recorder for you depends on a few factors, such as budget, desired extra features as well as memory count. Nothing beats having a pocket-sized, convenient and nifty device handy when we have some recording needs to be done in the field. We remember when we made music a lot more frequently, having a recorder in our pocket just in case we ever had a tune to hum to make into a song later on was always beneficial. We understand that some may desire a different recorder pertaining to their exact needs. That’s why we took the time to survey some of the highly rated and preferred models by many users out there. Let’s see what the top 10 best voice recorders came out to be. Multi-track recorders are mandatory for many individuals out there. Although many producers and musicians we’ve spoken to within the last decade have migrated over to digital audio workstations, music computers and other digital-based recording equipment to make their songs and field recordings, there are still many who enjoy using a multi-track recorder to lay down their creations. In fact, nowadays music and recording equipment come PC-compatible so you can combine them for a hybrid-based setup of both digital and hardware gear if you ever feel like it. We digress, and present to you our shopping guide on the top 10 best multitrack recorders on the planet. Let’s check it out. On-the-go is a synonymous phrase with our world as a whole and anything that isn’t convenient is written off as inefficient. If you’re looking for the best portable audio and music recorders, we drank a bunch of coffee and read as many reviews as we could to search high and low for the best of the best. There are quite a few variations of models out there to check out. I like to film most concerts and live shows I go to and my video camera audio typically isn’t feasible (even my DSLR), so I like to bring a portable audio recorder with me to capture a higher quality music track with. I then go into my video software editor and sync up the tracks and boom, a beautiful moment of some of my favorite groups are stored away forever!